Why should you participate in the CicloBrava? 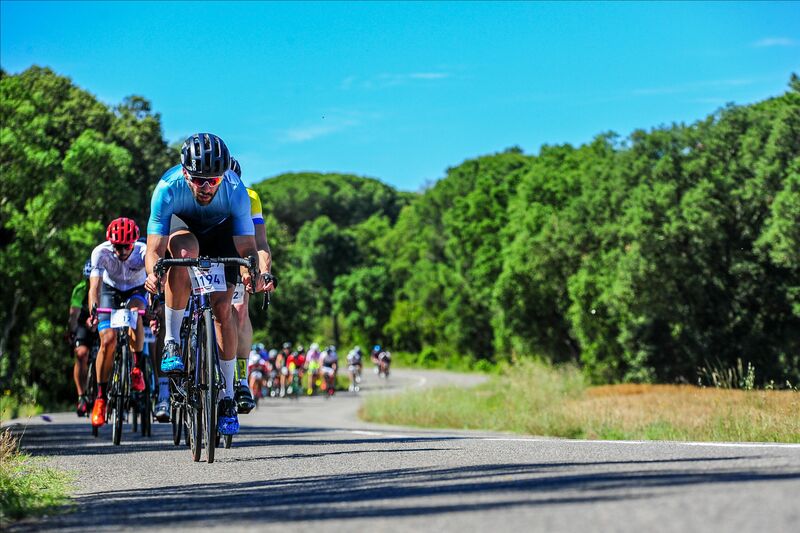 The Sea Otter Europe CicloBrava will be held on 2 June 2019. Read on to find out why you should attend one of the leading cycle tours. The CicloBrava is part of Sea Otter Europe's extensive programme of activities. Therefore, it will start and finish right in front of the festival entrance, so that once the tour is over, you can check out the festival and its huge exhibition area, with hundreds of brands exhibiting their latest developments and products. Furthermore, you will be able to enjoy a great number of first-class international sporting events and displays with the participation of the world's biggest international stars. The Sea Otter Festival is an experience that shouldn’t be missed, all the more so when it can be enjoyed so close to home. Whether you're a participant or you’re coming along to support one, you won't have the chance to get bored. The biggest brands in the bicycle world will be in attendance to show you their latest models, which you can test out on the Demobike circuits. This year they will also include a new circuit, especially for eBikes. More than 50 brands with more than 500 bikes to try out – it doesn’t get better than that. Since the beginning of the century, Girona has been one of the preferred places of residence for cyclists. The city has many benefits for cyclists and big stars come here to take advantage of its magnificent location and the variety of training routes that it offers. This is attested to by the presence of both professionals and ex-professionals at the event. We offer two distances (100 and 140 km), so that the tour is especially suited to you. The great thing about the roads is that they are narrow and quiet. Mountain passes such as Sant Grau will allow you to enjoy the proximity of the Costa Brava, bringing you closer and closer until you reach the Mediterranean Sea by way of various steep stretches that are nothing but spectacular. The routes combine all the best hallmarks of road cycling, with descents and both testing and fast climbs as well as flat stretches for you to catch your breath. The province of Girona, situated between the Pyrenees and the Mediterranean, is full of stunning landscapes. At the top of Sant Grau, once the descent has begun, you will be able to enjoy magnificent views of the Costa Brava. And once the Mediterranean Sea has captivated you with its beauty, it’s time to enter the area of Les Gavarres, where you will climb two classic mountain passes: Romanyà and La Ganga. The special thing about the region is the amount of small hidden villages that can be discovered – their magic charm will leave you speechless! One of Girona’s distinguishing features, and the reason why it is so popular with cyclists from all over the world, is its climate. As one of the sunniest cities in Europe, its temperatures are also pleasant all year round. Cycling amid dazzling sunshine is a feeling you won’t forget. The roads chosen for the event and those of the region are generally in top condition, as well as being calm and quiet so that no one dictates your pace. You decide exactly how to enjoy the CicloBrava! Walking around the city you can sense a passion for cycling and you’ll quickly realise the importance of cycling culture in Girona. The city boasts a large number of shops and bars dedicated to cycling, such as La Fàbrica, which has become a place of pilgrimage for cyclists and their bicycles. Girona has repeatedly been a location for the Volta a Catalunya, the Vuelta a España and the Tour de France. This year we offer you a day in which you will be able to discover the province of Girona by exploring and enjoying its landscape. The official cycling jersey of the CicloBrava, designed by the French brand Wear-Design, is included in registration to make your experience in this cycling paradise even more perfect.